Falling in love and getting married is great. You are two adults starting off a life together. You don’t need much; it is easier to take decisions, manage your finances and save for the future. Then, your dreams come true… a baby comes along…and maybe twins. You are now a family and there are more mouths to feed, priorities are different and you are limited in so many surprising ways. 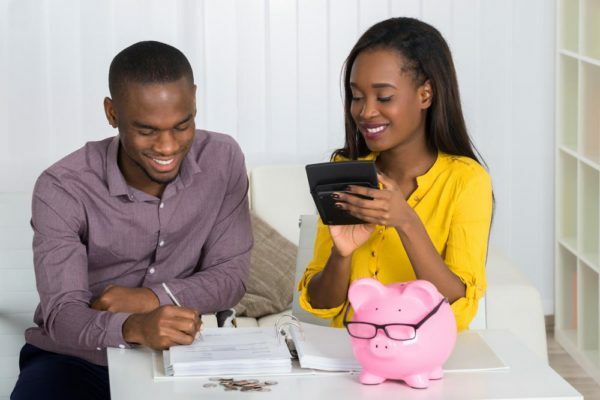 The shift from being a young couple to being a young family can be quite challenging – especially when it comes to finances – if you are not prepared. You have to be extra careful in what steps you take, change the way you do a few things, and be willing to make a lot of sacrifices. Bad financial decisions can have a ripple effect into the future. When it comes to finances, budgets can be lifesavers. 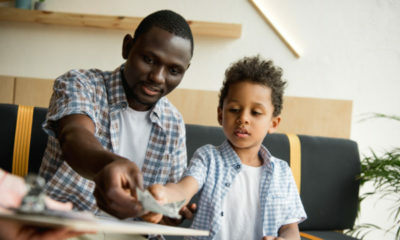 As a young family, there are so many responsibilities and activities that would stretch your finances, and if you do not have a practical budget, you may be flat broke and taking loans before you know it. Your budget has to be a completely different plan – from when you were just a young couple. Start by working out how much money you actually make, where your money has been going, the core responsibilities you have, payment to be made (debts and utilities), e.t.c then give yourself a full money makeover. Create a practical plan that will allow you to channel your money in the right direction, spend wisely and save. Ask yourself “What can we afford?” not “what do want?” If you are not particularly good with numbers, you can download one of the many budget planner apps or hire and accountant. However, the goal is to ensure you are budgeting correctly. This will help you save so much in future and have a better life. There is nothing wrong with using second hand items. If they are functional, then you have to be selective of what item you get for second hand and which you have to get as brand new. For instance, while it would sensible to buy fairly used toys, books or furniture for your children’s rooms, it would not make any sense to buy fairly used diapers or breast pads. Buying fairly used items helps you save a lot of money that would have been spent on brand new gear. Also, you are able to get more “big ticket” items such as bicycles or hover boards for small amount of money and you do not have to sacrifice your kids’ fun buy cutting such off on your budget. You also want to invest in reusable items. Sure it feels good to just use something and throw it away without have to clean it for reuse, but while disposable items are cheap and convenient, buying them repeatedly will drain you before you know it. Instead of using paper products for instance, you can go for things made with good quality material. For instance, paper towels cost an average of N300 per roll and Wet wipes cost an average of N800 per pack of 100, but a pack of washable cloths, which can used over 100 times, costs an average of about N400. Swapping disposables for reusable will save you a lot of money. When you are newly married, it makes sense to have date nights and order in on lazy Saturday evenings. If anything, it helps with the romance and all. But once the babies come in, and you have a few relatives living with you, you cannot be having an impromptu trip to KFC in lieu of dinner or ordering Domino’s Pizza…not if you do not want to drown financially. Doing that will ensure you are probably eating N1000 per person or more. It may seem very little, it’s just food… but in reality, it is indeed a budget buster. Instead of eating out, take the time to plan your family’s meals – that way you can serve up a meal for under N500 a serving, save money and eat healthy while you are at it. And you can also even freeze left overs and eat later. Have all your celebrations at home! From birthdays to naming ceremony e.t.c make sure you do all the catering and invite guests to celebrate with you are home. There is no need to rent a hall and hire caterers…unless of course you are super rich and you can afford all of that. But if you are looking to cut down costs and save money, keep the gathering small and close-knit. Also, when the kids start to drive you crazy and you just want to go dump them somewhere, maybe GET Arena, or FilmHouse…think again. Outside the house means spending more. find a way to keep them entertained at home. Play a home movie and give them popcorn, allow them to go outside and play or give them a puzzle or board game. If you must take them out, look for free park or take them to their grandma’s. Can you think of other practical ways young couples can save money? Me I am an old family o and I am still really working on eat in. In recent times I found that having breakfast outside my house so eats into my budget therefore I recently resolved to change. Thanks for the gentle reminder . 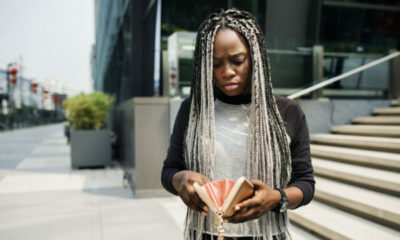 this tips helps me and my hubby, we are both very keen on our future and being financially free at an early age in life so we both took financial management seriously right from when we were dating, we have been married almost 6 years and when we first got married, most of the things we bought were from relocation sales or thrift stores. we bought a set of settee for about 40k, home theater 20k, dining set 20k, Ac’s 20k, I got my babys cot and high chair from someone who practically dint use theirs and I bought them from her cheap as long as those things were in good condition, we were open to buying second hand items as long as they were in very good condition etc. and we used those things for about 4 years and they gave us no issues. We hardly ate out except for special days, we would rather buy food stauff and get one of this freelance catering mama’s to come cook them for us at home, so as not to be too stressed of cooking , we had a monthly spending budget we were really strict with and we ensured we saved a percentage of our income, we also did side businesses asides from our 8-5 jobs for multiple streams of income. In summary, in 5 years of our marriage, I do not have regrets we made those decisions, we are currently building our own house now, we have 2 solid cars and not to say we still have millions of money in financial investments and co, our kids are in very good schools and I have finally did a face lift to our current flat while we are building our house. So, the posters advice makes a lot of sense and I advice young couples this days to learn how to delay gratification for the future.